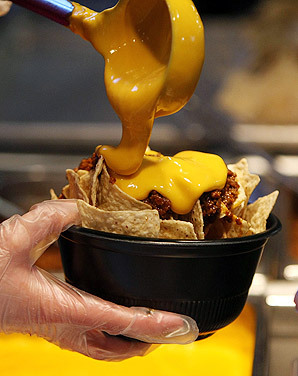 This entry was posted in Food, Uncategorized and tagged Baltimore Orioles, baseball, Cleveland Indians, major league baseball, mlb, nachos, obesity, sports by John Ochwat. Bookmark the permalink. I had surgery for my acid reflux, which had the unexpected side effect of reducing my appetite. So let this be a warning to us all: gastro-esophageal fundoplication turns you into a socialist. Once the tea-baggers learn of your condition, they’ll have more ammo for their “socialized medicine” accusation.